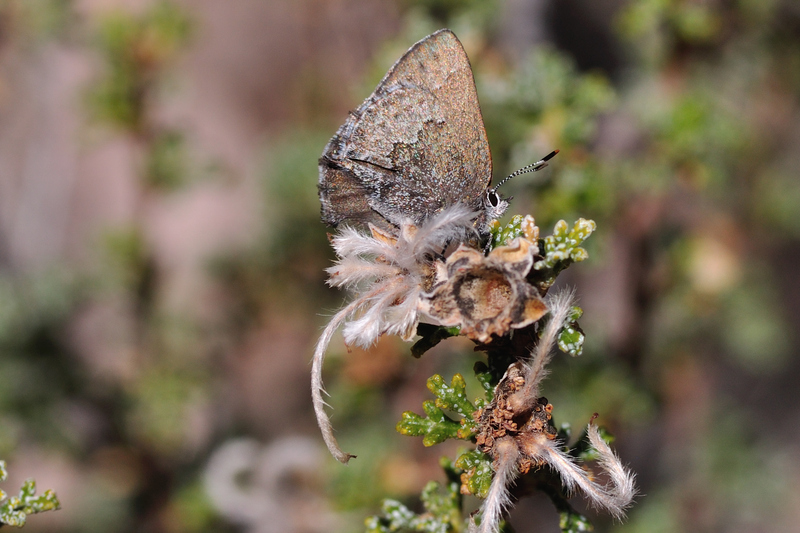 Identification: Upperside gray; underside brownish gray. 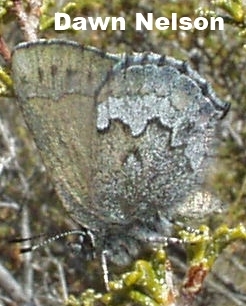 Base of hindwing darker, outer half gray to yellow-gray. Wing Span: 3/4 - 1 1/8 inches (1.9 - 2.8 cm). Life History: Males perch near host plants on trees and shrubs to wait for females. Eggs are laid singly on flower buds of the host; caterpillars feed on buds, flowers, and young fruits. Chrysalids hibernate. 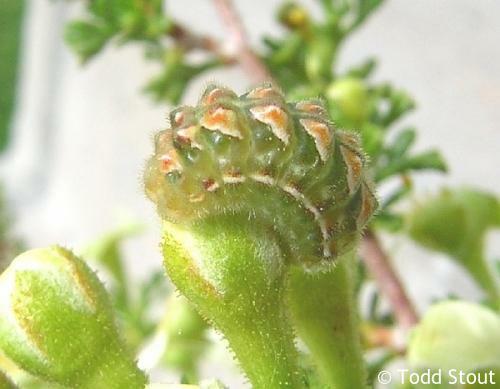 Caterpillar Hosts: Cliff rose (Cowania mexicana var. stansburiana) in the rose family (Rosaceae). Habitat: In desert rocky canyons, hills, and scrub. Range: Southeastern California, southern Nevada, central Utah, southwest Colorado, northern Arizona, and northwestern New Mexico. Conservation: Not thought to be in need of conservation.